Speakers include Cosmonaut Anatoly Artsebarsky and Phil Clark, Andrew Knight, Phil Mills, Galina Nechitailo, David Shayler, Bert Vis, Andrew Thomas, Bert Vis, Brian Harvey, Bart Hendrickx, Sven Grahn. During the weekend of 2nd and 3rd June 2018 the BIS will be holding its annual Russian/Sino Technical Forum at the Society’s Headquarters in London. This Forum has been running for a glorious 38 years, under the title Soviet/Chinese; last year, we modernised the title to reflect the content more accurately. For this year’s draft Programme, please click here. 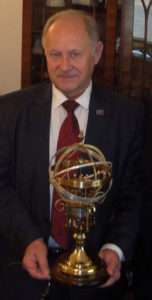 We are honoured to have our usual excellent crew of speakers and delighted that cosmonaut Anatoly Artsebarsky is joining us again this year! The Russian/Sino Technical Forum is one of the most popular and longest running events in the Society’s history and has hosted some star guests over the years. We are proud to say that we have sufficient material for a two-day programme this year and we will continue the tradition of featuring a wide-ranging agenda. Details of the programme are being finalised but will feature presentations, films and debates on the history, current activities and future plans of both the Russian and Chinese space programmes. We encourage members to support the event, visit the heart of the BIS and take the opportunity to meet old friends and establish new contacts. All speakers and delegates are welcome to join us for an informal dinner on Saturday evening at the Riverside pub, Vauxhall. This dinner will be self-funded so you need only let us know whether you definitely want to join us, so that we can give an accurate head count for the booking. (Please add a comment in the notes field in the shopping basket). It’s possible the pub will want to take pre-orders and we will email you if that turns out to be the case. To register please click here or call 020 7735 3160. One mission two spacecraft, China is going back to the Moon with Chang’E 4 mission that I think is the most exciting lunar mission since the 1970s. By the end of 2018, the China National Space Administration (CNSA) will launch Chang’E 4 that will explore the far side of the Moon with a lander and a rover. Since it is on the other side of the Moon, it will be totally out of sight from the Earth. To facilitate communication, a relay satellite will be launched in advance of the lander/rover’s arrival at the Moon. In addition to engaging private sector companies in China, Chang’E 4 will include a significant level of international collaboration in this mission with payloads from Germany, the Netherlands, Saudi Arabia and Sweden. 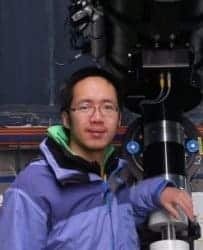 Ye Quan-Zhi is a postdoc astronomer who specialises in small bodies in the solar system. Like me, he started off as an amateur astronomer but now uses telescopes with apertures measured in meters rather than inches! In addition to his research, he writes about space in the Planetary Society’s blog. As a Chinese national, Quan-Zhi has an interest and an insight into the Chinese Space Programme and in this episode, we spoke about the upcoming Chang’ E 4 mission and the prospects of collaboration between India and China in space. Named as “Queqiao” or magpie bridge will be launched in May 2018 and placed in the Earth/Moon L2 orbit (also known as a halo orbit) about 60,000km from the Moon (450,000 km from the Earth) in the opposite direction of the Earth. From there it will always have a line of sight of the far side of the Moon and Earth at the same time. Its primary purpose is to act as a relay providing all the communications from the Lander/Rover that will land on the Moon in late 2018 or early 2019. The two microsatellites from the Netherlands are called “Longjiang-1″ and “Longjiang-2”. The will enter an elliptical lunar orbit and conduct low-frequency radio astronomy experiments. The lander and rover are the backup lander and rover to the highly successful 2013 Chang’E 3 mission. Whilst identical in most respects, lessons learnt from Chang’E 3 have been incorporated in modifications to Chang’E 4. • Low-Frequency Spectrometer (LFS) to investigate radiation burst from the sun and cosmos. • A mini “lunar biosphere” experiment designed by 28 Chinese universities consisting of a 0.8 litre capacity enclosure weighing 3 kilograms. The biosphere contains silkworm eggs, and seeds fro cress and potatoes. Once on the lunar surface, this mini biosphere will maintain a humidity and temperature (1 to 30 degrees centigrade) whilst the lunar surface temperature varies from +100 to -100 degrees centigrade. A HD camera will live stream from the lunar surface the hatching eggs and sprouting seeds during the first two weeks of the mission. • Advanced Small Analyser for Neutrals (ASAN), to investigate how solar particles interacts with the lunar surface. 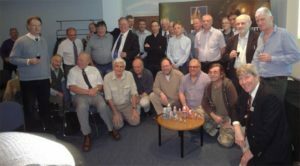 I attended the BIS Chinese Soviet Forum lat weekend, organised by Dave Shayler and Bert Vis. With 12 (yes -12!) speakers it was a cram packed day with each speaker’s talk full of meticulous detail in a topic in which they were thoroughly experienced. Throughout the day, amongst their other duties, Steve Salmon, Suzann Parry, Mary Todd and Alistair Scott ensured all attendees had lots to eat and drink. Alan Marlow from Delta Vee recorded the whole day. Thanks to all who signed the petition to bring the Gagarin statue from London to Manchester. There was so much content throughout the day it is impossible to to include it all in a single blog post. Here is a flavour. Pat Norris (who received an Apollo Individual Achievement Award from Neil Armstrong in August 1969 whilst working at NASA) provided an expert analysis of an official paper published by the Chinese authorities in 2011. The paper discusses the Chinese achievements in the previous five years and outlines the plan for the next five. Brian Harvey, who has written several books and is working on another about the Chinese space program, provided a summary of China’s space program from origins to the present. Tony Quine, an active space sleuth, explained how he uncovers the details the Chinese authorities do not like to publish. 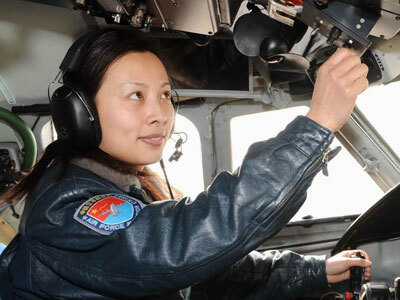 He predicted that the first Chinese female astronaut will be Major Wang Yaping. William Carey and Jacqueline Myrrh highlighted a not for profit website specialising in news about the Chinese space program called http://go-taikonauts.com/en/. Bart Hendrickx provided a fascinating insight into the NK-33 engines from the early Soviet era which may come into active use once more. George Spiteri reminisced by replaying actual recordings from short wave radio broadcasts clips of the Soviet Space era. At a time before the internet that was the only way to get to this type of information. Bert Vis provided an update about the Yuri Gagarin Space Centre that he has frequently visited and where he will be going again this summer. 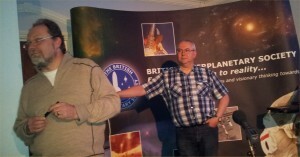 David Shayler, spoke about the Russian ISS segment in so much detail, you would think he has been there! Two topics that were pretty much new to me. Fritz Muse introduced Soviet RORSATS and Richard Williams provided a rich illustration of early Soviet philatelic items. Dominic Phelan spoke about a new book he is editing. It is not available until 2013 but just looking at the contributors – this should be compulsive reading. Softcover, 300 p. 50 illus. 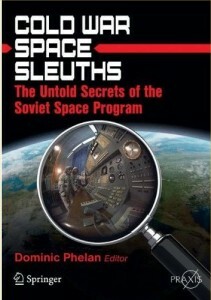 Editor Dominic Phelan, giving an overall history of the Cold War hunt for Soviet space secrets. Space writer Brian Harvey reveals his own personal search through official Soviet radio and magazines to find out what they were (and weren’t) revealing to the outside world at the height of the space race. 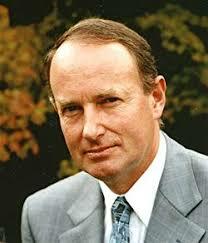 Robert Christy gives a firsthand account of the famed Kettering Group. Sven Grahn from Sweden details his own 40 year quest to understand what was happening on the other side of the Iron Curtain. Professional American historian Asif Siddiqi explores his own adventures in the once secret Russian archives – often seeing documents never before read by Westerners. Dutch cosmonaut researcher Bert Vis provides an inside account of the Yuri Gagarin training center in Moscow. Belgian researcher Bart Hendrickx’s details his important translation of the 1960s’ diaries of cosmonaut team leader General Kamanin. Pioneer space sleuth James Oberg’s shares his memories of his own notable ‘scoops’ – including revelations about missing cosmonauts, the Nedelin rocket explosion and his trips to previously secret facilities after the fall of the USSR. Paris-based writer Christian Lardier recounts the efforts of French space sleuths – whose work was frequently overlooked in the USA and Britain because of the language barrier. As “one of the original” space sleuths, UK’s David Shayler will write about his experience of recording the Soviet programme in the 1970s and 1980s .